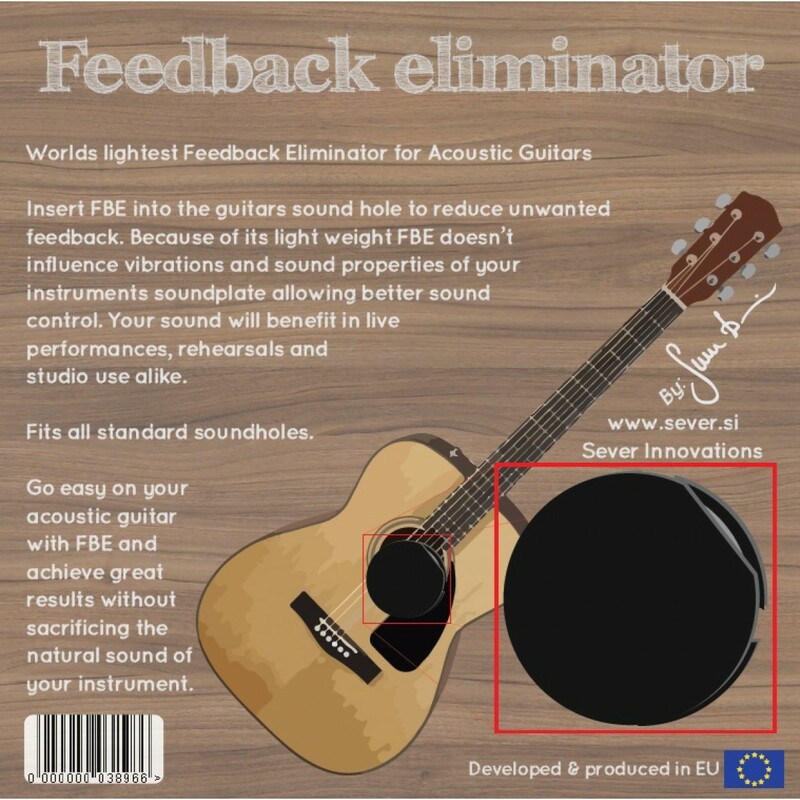 FEEDBACK ELIMINATOR is the ultimate, ultralight - only 6g, easy-to-use feedback suppressor for acoustic/electric guitars. Its concept is to suppress frequencies that cause feedback effect and doesn't affect soundboard's vibrations. 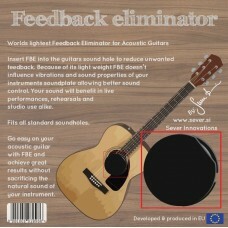 Fits all standards size soundholes.